Appliances, including range, microwave, refrigerator, and more. Water Heater Maintenance and Repair. Air Conditioner Repair and Maintenance. LP Systems Service and Repair. Plumbing Systems, including water pumps, piping, toilets, water heater, sinks, faucets, and more. Roof Inspection, maintenance and repair (leak prevention). Electrical Systems Diagnostics, including Converters, Inverters, Lighting, A/C + D/C Systems. Slide-Out Rooms; Hydraulic Cable or Electric. In addition to the above, we offer trouble shooting service by phone. 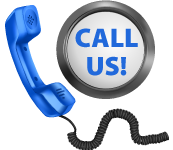 Feel free to call us, for any technical help we may be able to offer. Let's discuss your situation and determine the best course of action until a service call can be made. Our custom built Mobile Service Unit has been designed and developed to provide our customers with a full service shop on wheels. 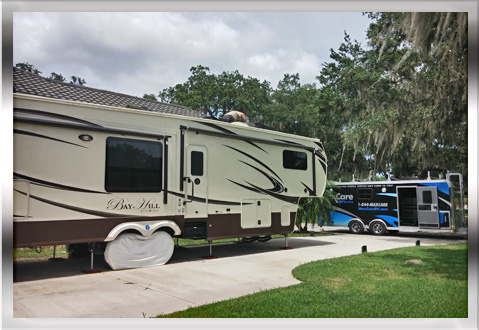 Our unit is stocked with many commonly used RV parts, and outfitted with the latest tools and diagnostic equipment to handle most repairs you may need right on site. 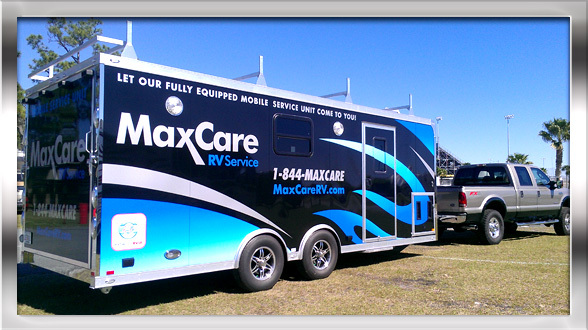 Because MaxCare RV Service provides strictly mobile service, there are some services that can not (or should not) be done in the field. 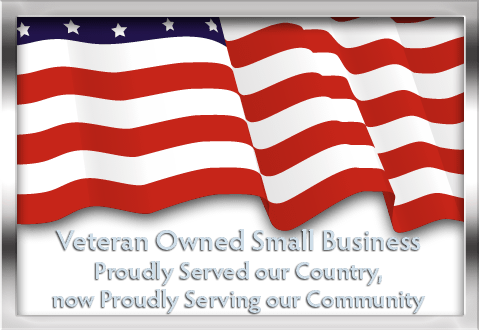 However, we will be more than happy to discuss your options and, if necessary, help you find a vendor for your job at no additional charge.